I previously reviewed Donna Galanti’s The Lightning Road series: JOSHUA AND THE LIGHTNING ROAD and JOSHUA AND THE ARROW REALM—both fantastic adventures. Today I’m thrilled to give you a look at these awesome new cover reveals! Plus enter to win a $25 Amazon Gift Card at the end of this post and get the first e-book in Donna’s series, Joshua and the Lightning Road, on sale now through October 15th for just $0.99cents. Donna rewinds herself back to being 9-years-old and shares a day in her kid life plus read an excerpt from Joshua and the Arrow Realm! It’s fun to wear my strap-on roller skates and hunt the paths for dead butterflies and shotgun shells (this is New Hampshire after all and they make cool noise makers when you put them in old coffee cans). There are always kids to play with here (awesome for an only child like me!) and swim with at the pool. I especially love to hang out in the recreation hall and play pinball machines and records on the juke box. My favorite song is Escape by Rupert Holmes. I asked my dad what a Pina Colada is and he said it’s a party in a glass for grownups. Each morning I get to pretend I’m my hero, Laura Ingalls from Little House in the Big Woods, as I pick rotten apples in the orchard to feed our fat hogs. My mom says we’ll be butchering them soon (just like Laura!). My mom wants to make head cheese (ewww!) but I want to blow up the pig’s bladder like a balloon and roast its tail over the fire, just like Laura did. Little House on the Prairie is my favorite show and sometimes I even pretend that Mr. Ingalls is my dad. After hog feeding time, I get to gather the eggs in the chicken coop. Today I found a double yolk egg without a shell! It was see-through and wobbly just like a Weeble. Although, I think it would fall down if I wobbled it. Tomorrow is dump day. I get to collect the trash with my dad from all the campsites (we even saw a bear last week!). It’s a smelly chore but the best part is that I get to stand up in the back of our rickety 1965 Ford truck and hang onto the wood sides as we cruise to the dump. Wheeee! It’s almost as fun as snowmobiling on the campground trails in winter. If I help my dad out good, he’ll take me fishing on Lake Squam this weekend to use my new tackle box. I caught my first pike there last month (my dad almost crashed the boat up on the rocks just so I could get it)! Rain streamed down and the wind whipped at me, driving the stinging pellets. Charlie and I ran on, leaving our enemy behind. We held each other up as we staggered through the storm. “Joshua, stop! Can’t. Go. On.” Charlie gasped out the words as he dragged me back. Oh, where was this Grand Tree and could these Wild Childs help us? When my lungs threatened to explode, a howl behind us pushed my aching legs to full throttle. Claws swiped at us and a blast of rotten meat stench hit me. Anger at this world choked me into a fury. For sucking me up into its danger and death again. For turning my friend against me. For having to run for my life again. For wanting me to be their hero. I skidded to a stop, riding wet leaves. Charlie’s eyes blinked with surprise as I shoved him aside and turned to face the unleashed creature. It flew over my head—an exploding mountain of fur and legs and tail—and slammed onto the ground. It turned to face me, panting. Pacing back and forth, its massive paws glinted with curved nails as it smashed the mud. Steam bellowed from its giant nostrils and horns protruded from a head covered in a shaggy brown mane. Tinted burnt orange, the beast raged part lion, part bull. I backed away from the monster, hauling Charlie with me. I carefully nocked an arrow to my bow, keeping my eyes on the beast as it snorted and pawed the ground, spewing up clomps of dirt. The rain spiked harder. “Let us go,” I said. The beast churned up the ground and shook its giant mane, groaning low in its throat. “Hungrrrry.” I must’ve imagined him speaking. Without my lightning orb, I didn’t have powers to understand animals on Nostos. He had no idea how right he was. With each step the beast inched toward us, we took one back. I pulled back my arrow, the tension scorching my arm. The lion-bull shuddered; loose skin flapping against its gigantic, bony frame. Its swollen tongue hung from its mouth, and its ribs outlined sharp against its skin with each desperate pant. Red-rimmed eyes burned into mine. “It’s starving, Charlie,” I whispered. Twelve-year-old Joshua Cooper learns the hard way that lightning never strikes by chance when a bolt strikes his house and whisks away his best friend—possibly forever. Armed with only luck and his grandfather’s mysterious crystal, Joshua must save his friend by traveling the Lightning Road to a dark world that steals children for energy. New friends come to Joshua’s aid and while battling beasts and bandits and fending off the Child Collector, Joshua’s mission quickly becomes more than a search for his friend—it becomes the battle of his life. Joshua never thought he’d be called back to the world of Nostos so soon. But when his friend King Apollo needs his help in the Arrow Realm, Joshua braves this dark world once more in order to save him. With Joshua’s loyalties divided between Nostos and Earth, he must rely on his courage and powers to restore magic to this desperate world and to free its people. Abandoned by his friends in his quest, unarmed, and facing great odds, can he survive on instincts alone and not only save those imprisoned—but himself? Donna Galanti is the author of the bestselling paranormal suspense Element Trilogy and the children’s fantasy adventure Joshua and The Lightning Road series. Donna is a contributing editor for International Thriller Writers the Big Thrill magazine, a writing contest judge at nycmidnight.com, and regularly presents as a guest author at schools and teaches at writing conferences. She’s lived from England as a child, to Hawaii as a U.S. Navy photographer. Donna also loves teaching writers about building author brand and platform through her free training series at yourawesomeauthorlife.com. Visit her at donnagalanti.com. 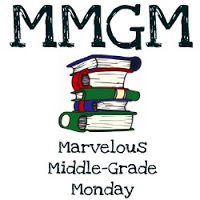 This entry was posted in Giveaways, Middle Grade News, Reading and tagged Donna Galanti, MIddle grade book series, The LIghtning Road Series. Bookmark the permalink. 5 Responses to New cover reveals for The Lightning Road series by Donna Galanti! Wow. I can’t imagine how much fun it would be to grow up living in a campground! These books are getting some great buzz. Thanks for the review. Thanks Rosi! Yes, it was fun being an only child growing up in a campground. There were always lots of kids to play with. Thanks so much for having me back no again, Greg, sharing the new covers! It was so much fun to share a rewind day from when I was a kid. Good luck with the giveaway everyone! I was also 9 in 1978. Brought back wonderful memories. Thanks for sharing. The new covers look fantastic. I’m sure my boys would enjoy these stories. Denise, thanks for sharing! I guess we both hit the BIG 50 next year then 🙂 . I hope you have lots of great kid memories! So glad you like the covers.